The Mighty Girls in these stories love to stomp in spring showers, dig in the dirt, and otherwise enjoy everything that spring has to offer. Along the way, they have fun with their friends and family, and celebrate the beauty that comes with a world that's being reborn. Before the seeds get planted and shoots start to grow, spring has to come! These books celebrate the transformation that comes with this special time of year. 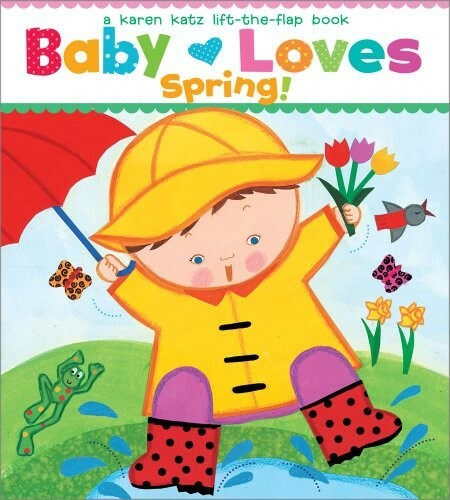 Now that spring is here, there are so many things for Baby to explore! On a walk outside, this curious baby finds all sorts of surprises, from baby robins to frogs in puddles to wriggly worms. 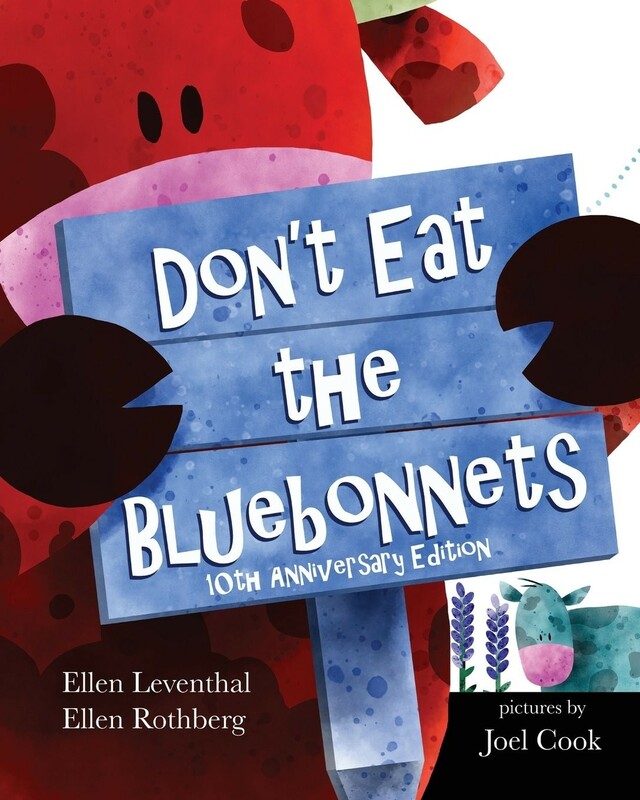 Plenty of fun flaps adds interactive fun, and Katz's colorful collage illustrations provide the perfect counterpoint to this cheerful story. 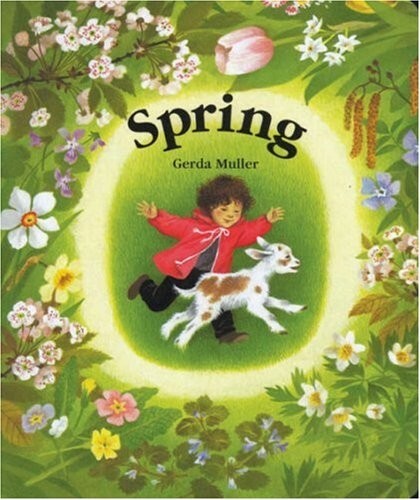 One of a series of classic wordless books about the seasons by author/illustrator Gerda Muller, this board book captures all the special activities that come with the season of spring. Artful, detailed pictures show children playing with newborn lambs, watching baby birds, painting Easter eggs, and sowing seeds, kids will enjoy the opportunities for creativity that come from the wordless format. Parents who enjoy this volume can also get the books for Summer, Autumn, and Winter. 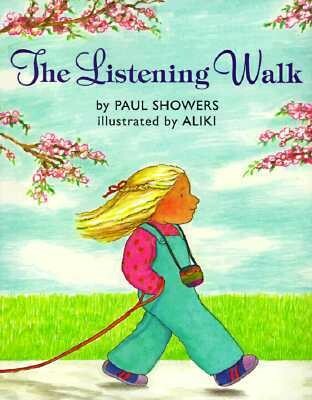 This little girl and her father are going on a listening walk: a silent walk where they will discover all the sounds of the world around them. As they move through the neighborhood, they hear everything from buses to bees, from woodpeckers to lawn mowers, and on the way, the girl develops a new appreciation for all the activity of her community in spring. Paul Showers' quiet, contemplative story has been updated with full-color illustrations by Aliki, ready to introduce a new generation to this charming book. Little caterpillar Farfallina and fuzzy gosling Marcel are the best of friends; they do everything together. But one day, as fall approaches, everything starts to change. 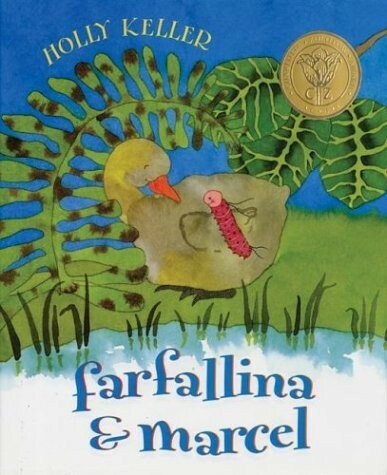 Farfallina suddenly feels the urge to curl up on a tree branch and rest, while Marcel's baby fluff starts falling out, to be replaced by new, adult feathers. When spring finally comes, and Farfallina emerges as a butterfly, the pair are completely different — so different that they don't recognize one another! Instead, they form a new friendship that becomes all the richer when they realize that it's actually an old one. 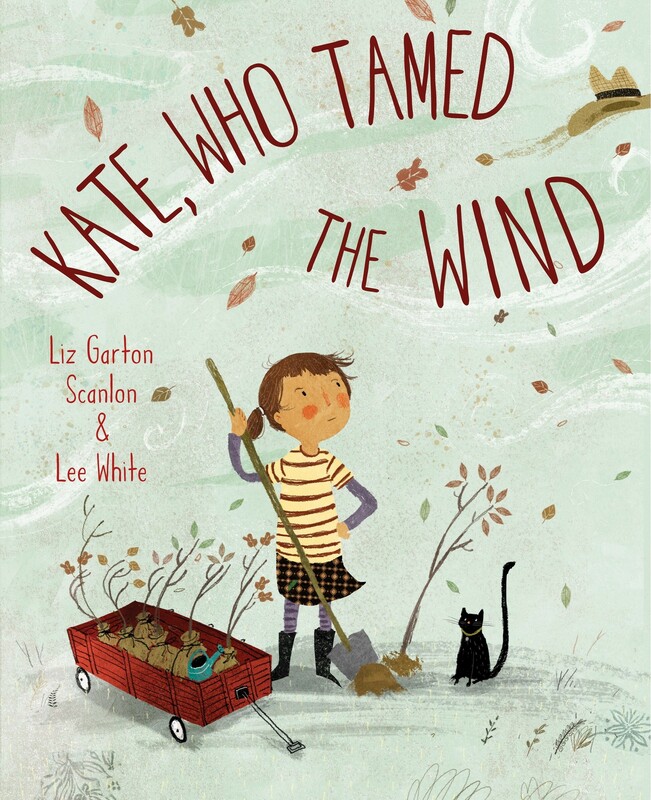 This joyful and serene story celebrates the renewal that comes with the changing of the seasons. 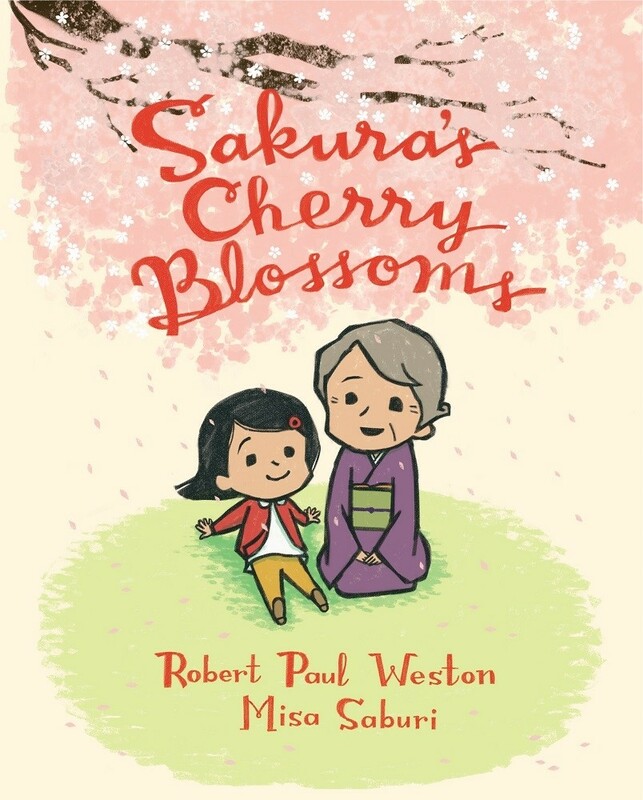 When Sakura's dad gets a new job in America, Sakura struggles with culture clash and learning a new language, but most of all she misses her beloved grandmother, Obaachan, who used to picnic with her under the cherry trees. Slowly, though, she makes a new friend and starts to settle in... until Obaachan gets sick, and the family has to fly back to Japan to say goodbye. When she gets home, her friend Luke tells her she'll get a surprise in the spring — and Sakura is delighted to see the cherry trees that bloom in her own neighborhood, bringing warm memories and special time with new friends. This warmhearted, thoughtful story celebrates the healing power of friendship and the beauty of spring. Whether you grow a vibrant flower garden or a vegetable garden full of delicious things to eat, spring is the time that everything begins! These books celebrate the joys, challenges, and satisfaction that come from seeing your garden grow. Shovel. Pail. Rake. Hoe. Tiny seeds in a row. Compost, water. Rain. Sun. Seeds sprout, one by one. It takes work and care to grow a beautiful garden! With this lift-the-flap board book, budding gardeners will learn all about the tools and techniques they need to help the plants in their care, from watering to weeding to getting rid of pests. At the end, the little girl in the story gets to enjoy her first harvest, including a basket of carrots! Colorful illustrations and fun surprises under every flap make this an appealing and inspiring book for toddlers and preschoolers. 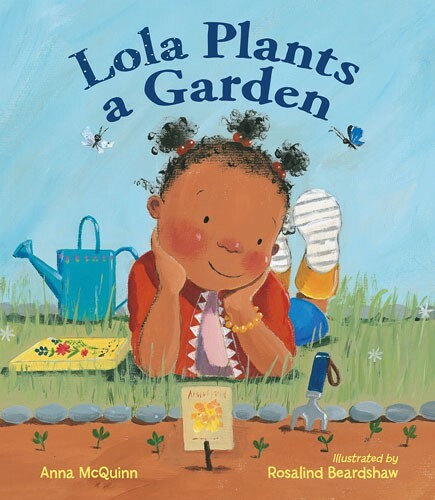 Fans of Lola at the Library will love getting to see Lola put her reading skills to good use: planning her new garden! After reading a book of garden poetry, Lola sets out to research what plants will grow best and how to prepare her plot. Then she and her mother plant the seeds, water, and wait to see what happens... 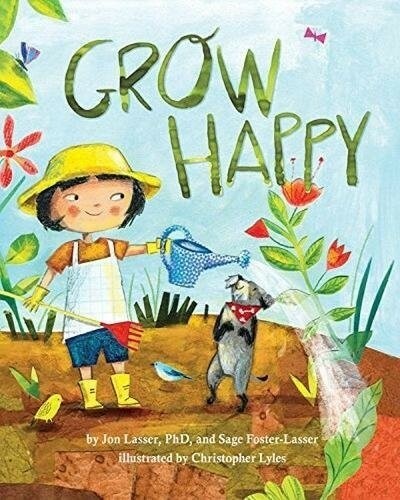 This sweet story celebrates the excitement of planting your first garden, as well as the power that comes from reading. This little girl loves helping her mother in the garden, but in the garden of her dreams, the rabbits don't eat the lettuce — because they're made of chocolate — and jellybeans grow on bushes like berries! As her imagination truly takes flight, she pictures umbrellas leaping out of the ground just in time to protect you from the spring rain and tomatoes that are as big as beach balls." A subtle shift back to reality at the end will have kids giggling and imagining their own miraculous gardens. Seeds fall down, corn grows up... and around the garden, life is everywhere! In this cheerful story, the garden is a bustling place, from the ants digging through the dirt to the bees and birds flying overhead — and, naturally, to the kids running around while they play. 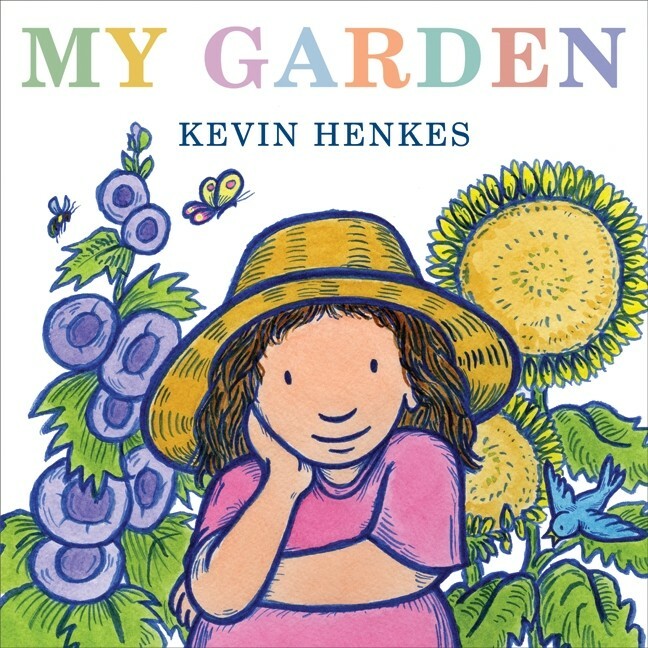 Simple rhyming text and colorful illustrations make this perfect for reading to younger kids, and allow them to see that gardens aren't always peaceful, contemplative spots: they're also bursting with energy. 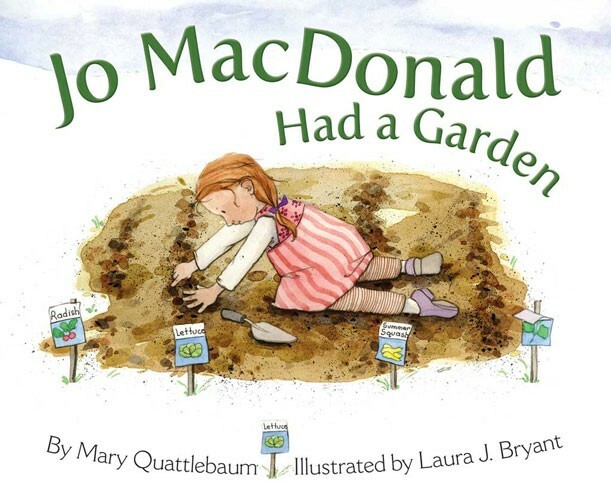 Old MacDonald had a farm, but Jo MacDonald has a garden! 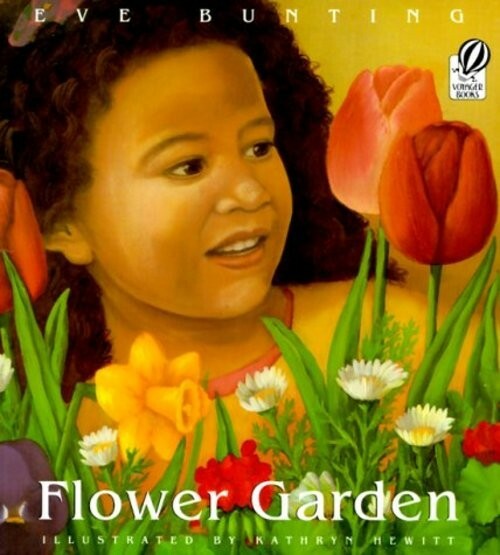 Kids can sing along with this book as they watch Jo prepare the earth, plant healthy vegetables, learn about how insects and other wild creatures interact with her garden, and more! At the end, they'll even find out the answer to a mystery: the nature of an unlabeled plant that keeps growing and growing.... The book's back matter includes plenty of interesting facts about plants, animals, insects, and the importance of stewardship. Fans of Peppa Pig will love this funny book, in which Peppa and George get to help Grandpa Pig in the garden. Together, they learn that plants grow from seeds, which are hiding in surprising places — even inside the apple that falls on Grandpa's head! 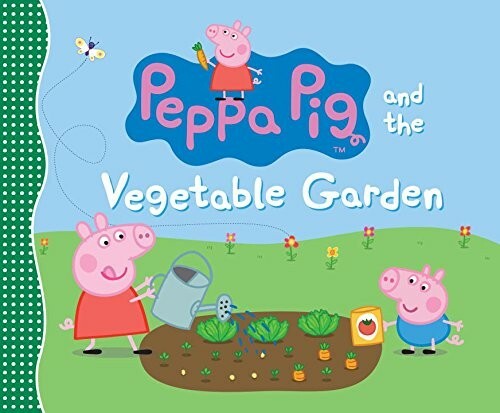 As they help, Peppa and George shoo away birds and snails, imitate worms and butterflies, and finally, gather the ingredients for a fresh salad and a delicious pie. Full of laughter and spirit, kids will love learning more about every detail. 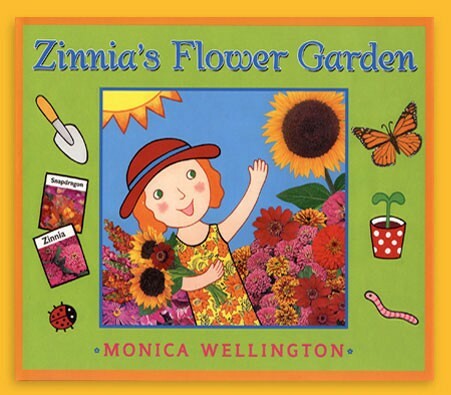 Now that spring is here, Zinnia can finally plant her flower garden! 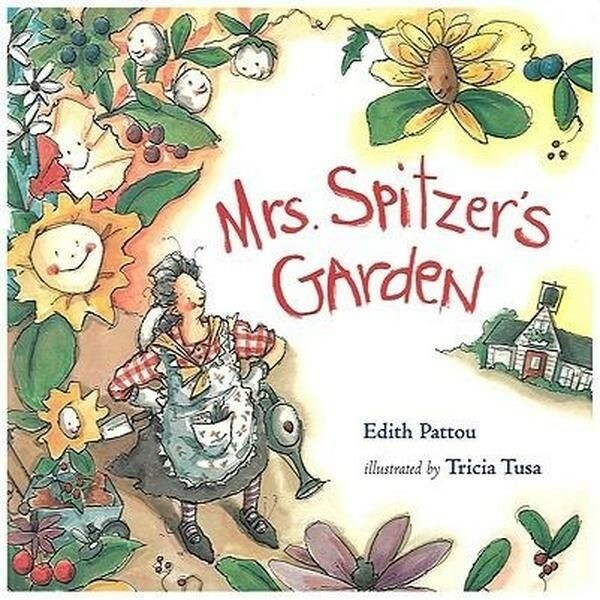 But there's far more to gardening than just planting seeds, so kids will follow along as Zinnia and her cat and dog companions water, weed, and patiently wait for the first sprouts. Monica Wellington's colorful illustrations capture attention, and her carefully chosen sidebars about everything from types of clouds to the life cycle of the butterfly to money and math add plenty of interest. Rounding off the book is a great page of tips for growing your own flowers. As a very special birthday surprise, this little girl and her father are making her mother a garden! Together, they pick out pansies, tulips, daffodils, and more; carry them home on the bus and plant them in the window box; and light the candles on the cake — just in time for Mom to come home. 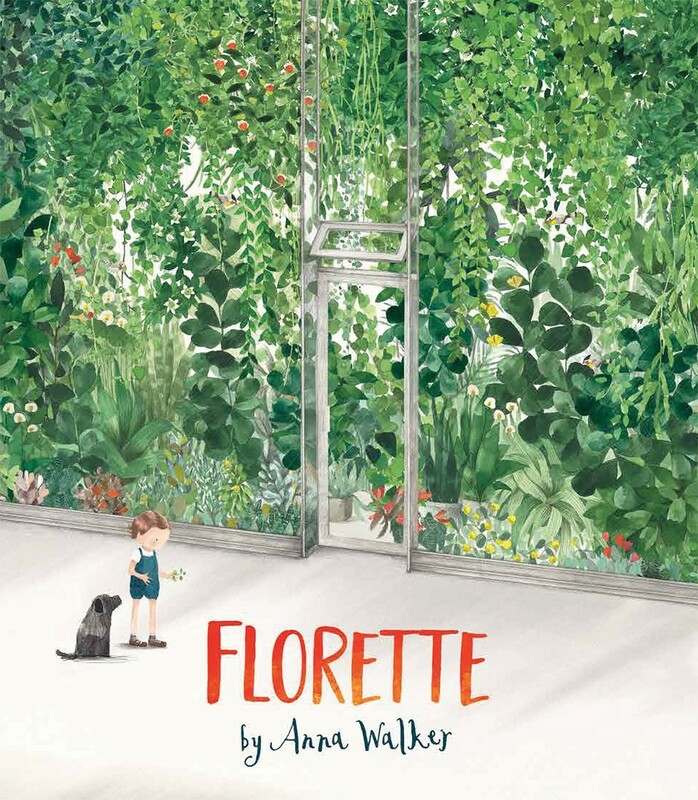 This warm and inviting story, full of rich and vivid illustrations, shows that you don't have to have acres of space to have a beautiful garden. Nell and her dog Rusty have been waiting for that special day when trees unfreeze, grass starts to turn green, and she finally gets to dig in the dirt to plant her pansies! But as far as her neighbor Norman is concerned, the dirt and the mess is just downright disgusting. Then Nell starts digging up unexpected treasures — a marble, Norman's lost toy dinosaur, even part of a tiny china doll. Norman's curiosity is piqued, and soon, he can't resist rolling up his own sleeves and discovering the joy of digging! 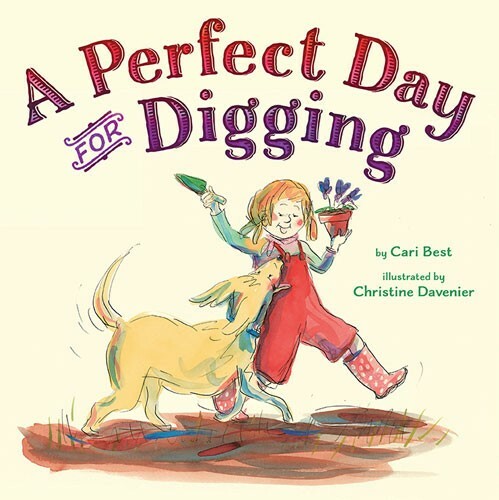 This delightful story will get your kids ready to start their own excavations. 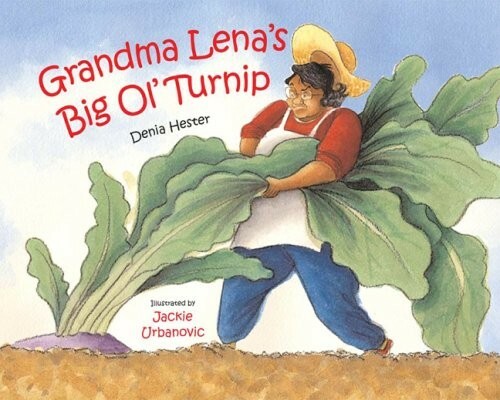 Grandma Lena always takes good care of her turnips, but this year, one of the turnips is so big that she can't even pull it! Everyone in the family steps in to help: Grandpa, Uncle Izzy, even the family dog. It's not until Baby Pearl pitches in that the turnip comes up — dumping everyone in a heap — and Grandma Lena can make a soul-food turnip feast to share! Based on a Russian folk tale, this story transfers easily to a modern setting and makes for a fun, rollicking read. When this little girl moves from a rural home to a new city, she's thrilled to discover a place called Butterfly Park... except behind the gates, there are no butterflies. As she makes friends with kids in the neighborhood, they all try catching butterflies and releasing them in the park, but the butterflies just fly away. 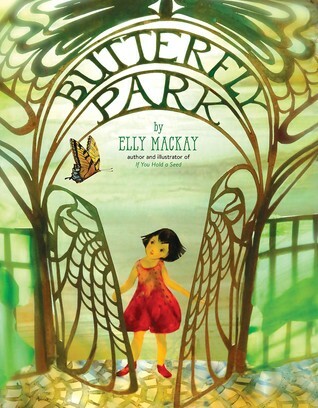 Then the girl realizes that the butterflies need flowers to tempt them to stay, and soon, she's recruited the whole community to help plant butterfly-friendly plants so they can all enjoy Butterfly Park together. The story is charming, but it's Elly MacKay's incredible lightbox diorama illustrations, made from painted paper, that steal the show in this exquisite book. As an added bonus, the dust jacket includes a poster of plants to make your own butterfly garden. When this little girl sets out to help her mother plant their garden in the spring, she can't help but compare their plants to the beautiful flowers their neighbors are growing. 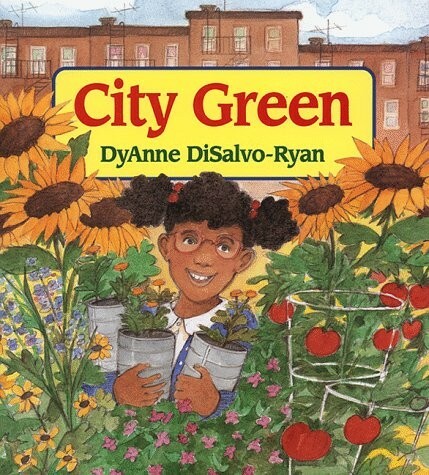 Why do her friends all get to grow colorful blossoms while she has to help tend a boring vegetable patch? But her mother assures her that "these are better than flowers," and when harvest time comes — and her mother starts cooking up a huge pot of vegetable soup — those ugly Chinese vegetables draw the whole neighborhood together, eager for a taste. 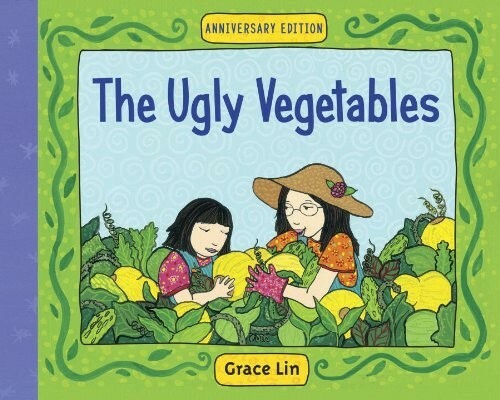 Lin's story is now available in a new anniversary edition, and comes with a guide for the pronunciation of Chinese vegetable names and a recipe for Ugly Vegetable Soup. In the middle of Marcy's street there is a dirty vacant lot where a building was torn down; "Now this block looks like one big smile with a tooth missing," she laments. 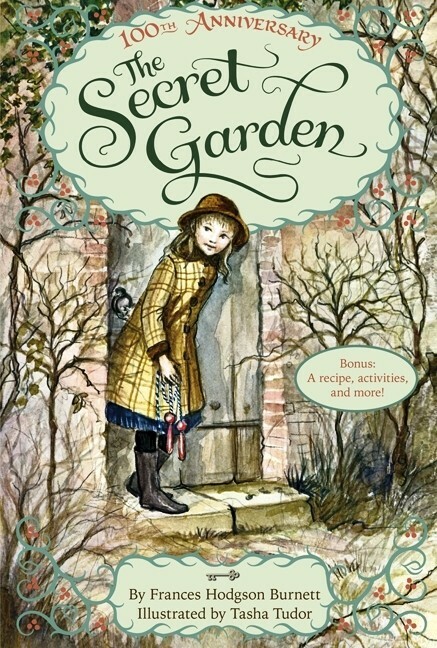 So Marcy and her friend Miss Rosa decide that they should plant a garden there — despite the warnings of Old Man Hammer, who harrumphs that they'll never get permission and they're getting their hopes up for nothing. The determined pair arrange to lease the lot from the city, and soon the whole community has gathered to make their city green. 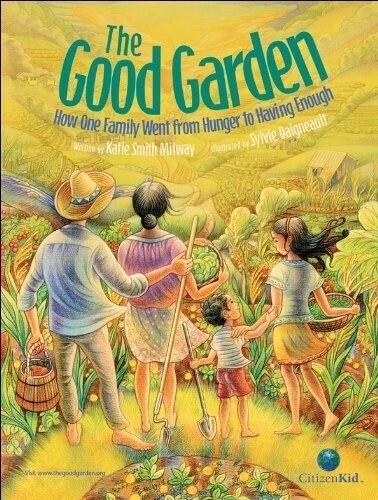 This positive, poignant, and colorful story is sure to delight young gardeners and inspire all kids to make a difference in their communities. Gardening and farming can go beyond the plants we grow and involve harvesting other natural resources too! 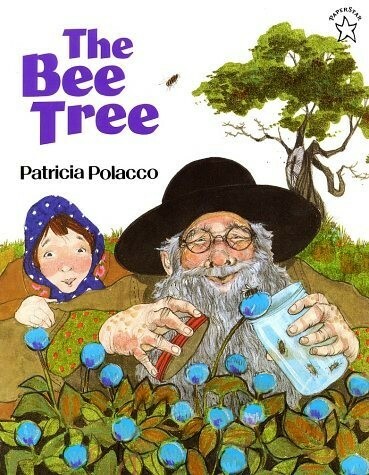 When Mary Ellen gets bored and frustrated with her assigned reading, Grandpa decides to give her a little hands-on learning by taking her on a hunt for a bee tree. In a garden full of flowers, he carefully catches a few bees in a jar, explaining that the bees will lead them back to their hive. Their merry chase takes them past many landmarks — and attracts the attention of half the town! — before they find the tree and Grandpa carefully pulls just enough honey for them to enjoy. 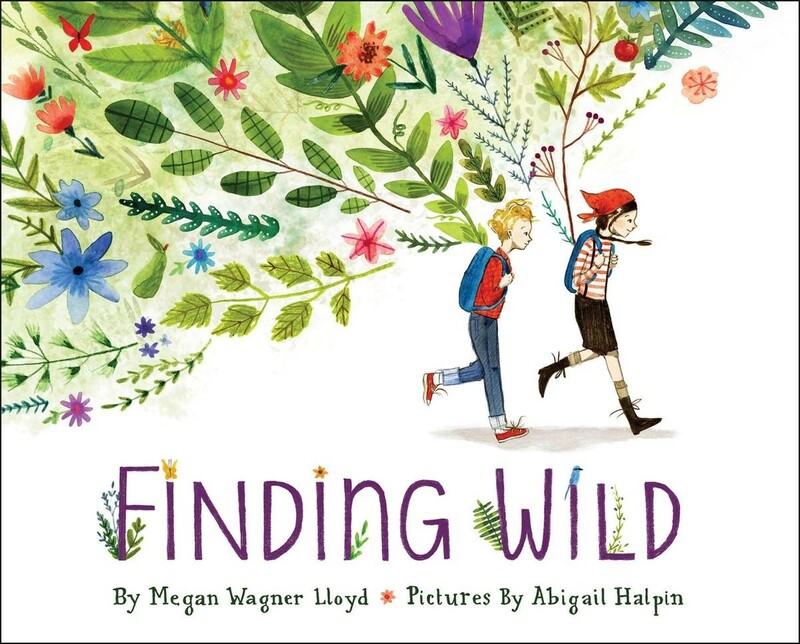 This fun, boisterous story includes valuable messages about respect for the natural world, as well as about the need for persistence to achieve sweet rewards. Devoted gardener Mr. Aster likes his routine to be just so, but when a Little Green Girl — a seedling — arrives on the wind, he's still quick to offer his care. 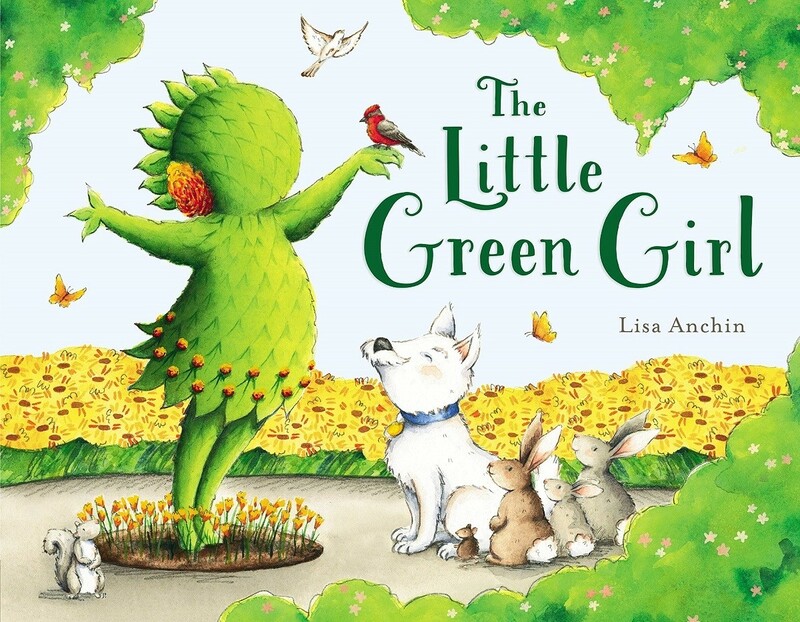 As the Little Green Girl grows, Mr. Aster tells her about their "world" within the garden, but it's not long before birds and other animals tell her about other places to explore outside its gates. At first, Mr. Aster tries to curtail her wanderlust, even trimming the vines that reach for freedom. But when she finally convinces him to follow her lead, this unique father-daughter pair discover the joys of travel and the unknown — together. A charming story full of lushly green illustrations celebrates gardens, home, and broadening your horizons. Kiko loves to garden, and she knows that, for her garden to grow, it needs care: seeds, soil, water, and sunshine, all in the right time and the right amounts, create the lush growth she treasures. In the same way, Kiko says, her happiness needs tending too! When she has hard or overwhelming feelings, that's a sign that she need care — from herself or someone else — so she makes good choices to ensure she can thrive. 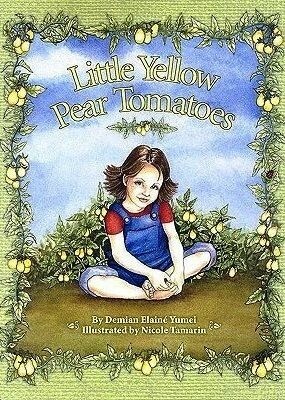 This unique introduction to positive psychology and choice theory, kids develop an appreciation for what it means to be a good caretaker of both plants and feelings! The Depression has made money tight, so Lydia Grace Finch is sent to the city to stay with her cantankerous Uncle Jim as a way to ease her family's burdens. When she comes, though, she brings something unusual: a suitcase full of seeds. With them, she brightens Uncle Jim's bakery and delights neighbors with the bright flowers she grows. 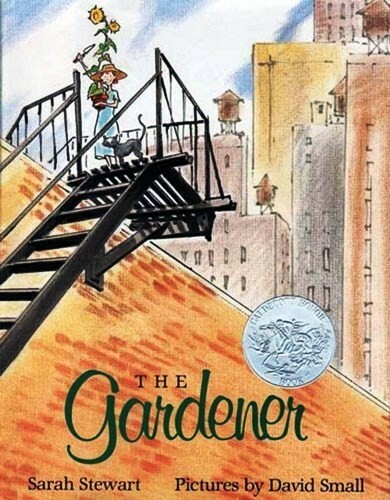 But her masterpiece — one she hopes might even get a smile from Uncle Jim — is an ambitious rooftop garden, full of blooms. This optimistic story, told in a series of Lydia Grace's letters, shows the power of a green thumb to bring happiness to the gardener and everyone else around her. Who says a farm has to be a giant property, with row upon row of plants and rolling pastures full of animals? In fact, a farm can be anywhere that a caring person plants a seed and tends the resulting crop. 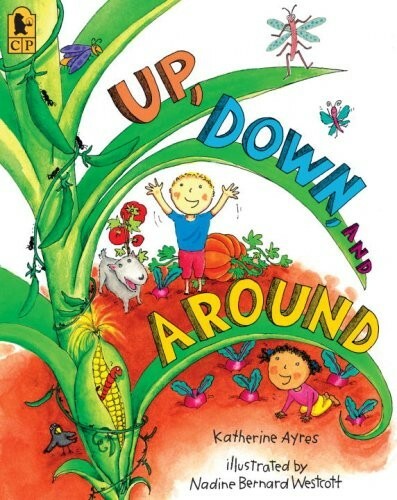 In this rhyming story author Phyllis Root provides factual information about how plants grow alongside plenty of inspiration for starting your own farm — in anything from a window box to an old boot! 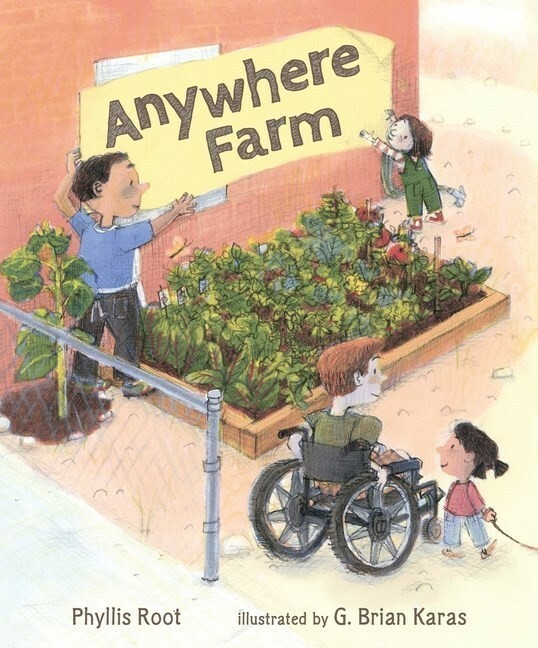 G. Brian Karas' illustrations depict a diverse and vibrant group of young people working together to make their own "anywhere farms" a reality. Alice Rumphius always dreamed of traveling the world, living by the sea, and making the world more beautiful. But while she manages the first two, she struggles with figuring out how to do the third. It's not until she is an older woman that she realizes that she could spread the joy she gets from flowers — by planting lupines for others to enjoy. And as she tells her story to her young niece, she challenges the girl to find her own way to spread beauty. 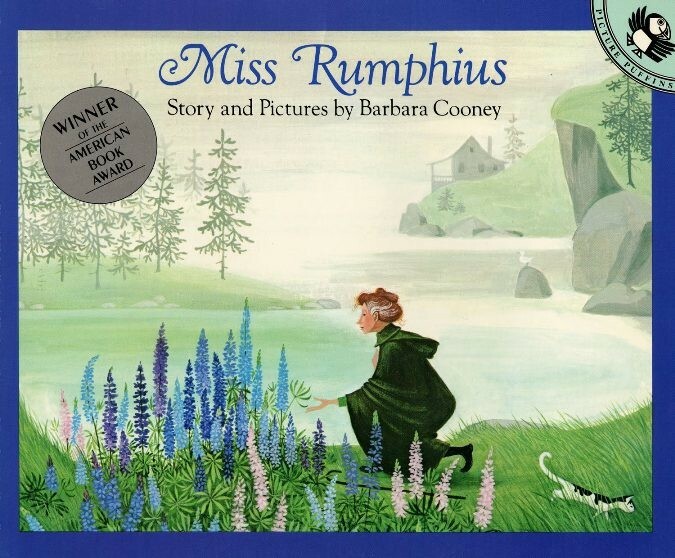 This beloved classic, one of School Library Journal's Top 100 Picture Books, has a timeless quality that's sure to inspire. Every year, the principal brings Mrs. Spitzer a packet of seeds, and inside her cheerful classroom, she gets to work! She tends the soil, plants and waters, and fends off weeds. Some sprouts, she finds, grow quickly, while others are slower, but they're all special and she devotes time and care to every one. 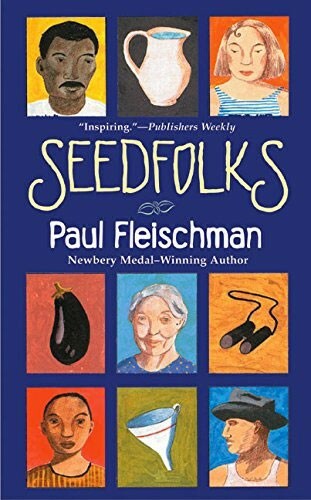 This sweet metaphorical story about the similarities between a good gardener tending a plot and a kind teacher tending a classroom includes clever details — including a "crop" at the end of the year full of kids' drawings of flowers, animals, and pumpkins. Soon-to-be kindergarteners will particularly appreciate this gentle story. 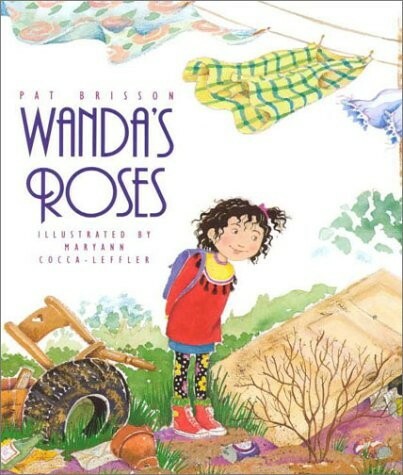 When Wanda stumbles across a bare thornbush in the vacant lot, she becomes convinced that it's a rosebush — and that all it needs is some tender loving care to bloom again. She implores her neighbors for help, and they do... but each of them cautions her that her bush isn't going to flower like she thinks. 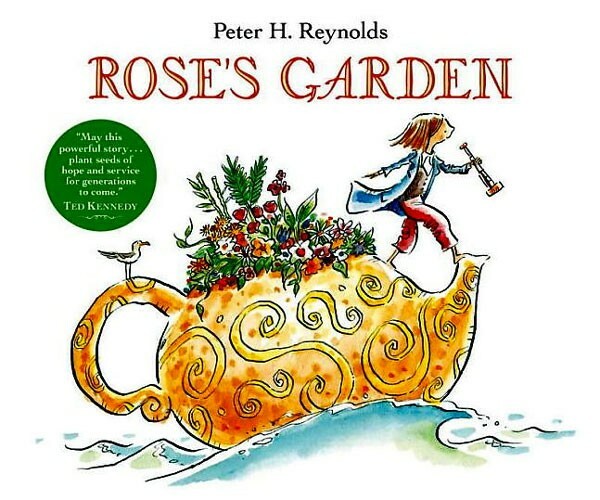 Then in June she invites all of them to a tea party in the "rose garden", and not only are they delighted by Wanda's innovative solution, but each neighbor brings a flowering rosebush so that the lot really can be full of roses. This sweet story about the power of faith celebrates how a community can rally around one Mighty Girl's big dreams. Maple syrup and sugar is another pleasure that comes with the first days of spring! 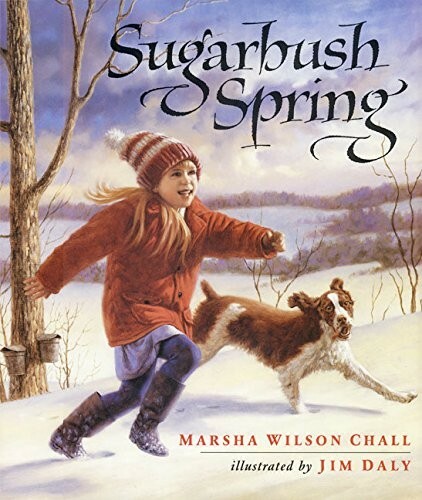 In this charming, timeless story, Marsha Wilson Chall shows how, once the snow starts to melt, it's time to tap the trees, prepare the bottles, and simmer the syrup, all while enjoying special treats and stories that only come with sugaring time. 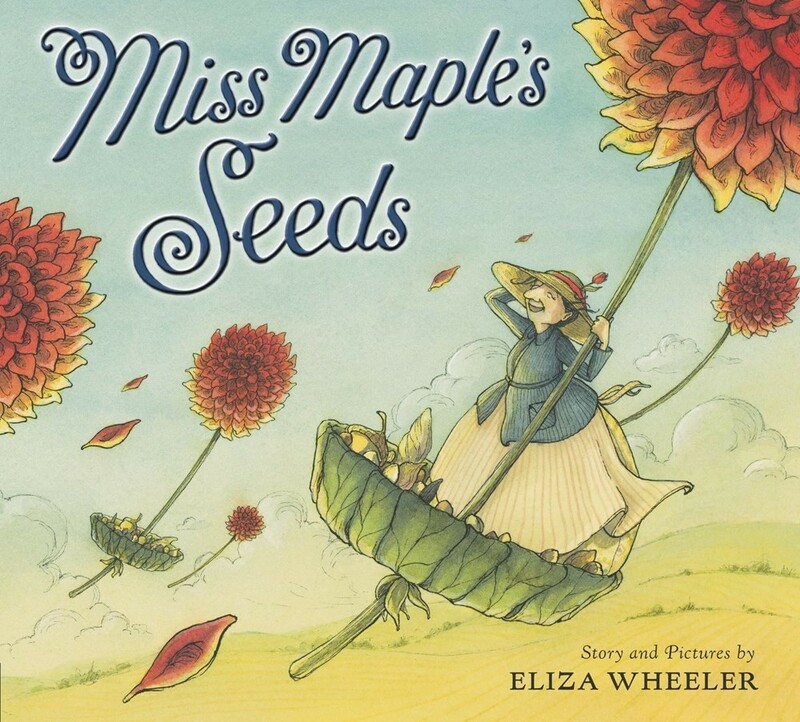 Full of intriguing details about the traditional bucket-drop method of gathering sap, the warm, inviting illustrations and engaging text will leave kids savoring their next taste of maple syrup. It's World War II, and Diana's father, Harry Hopkins, is one of President Roosevelt's chief advisors. Diana desperately wants to help the war effort, but her first efforts don't hit the mark — especially the quarantine sign she places on her father's door. 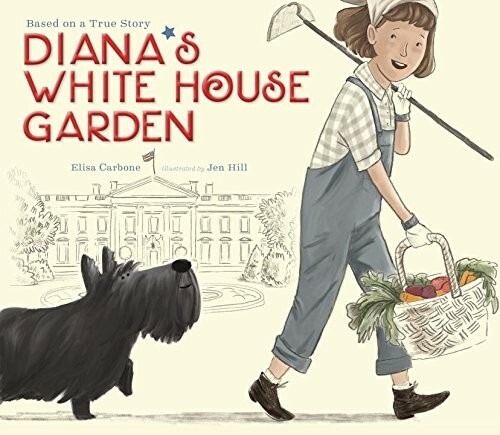 Then, the president — and his wife, First Lady Eleanor Roosevelt — tell Diana that they have the perfect way she can contribute: by setting up a vegetable garden and encouraging other American families to do the same, she can keep pantries full of fresh-grown food. 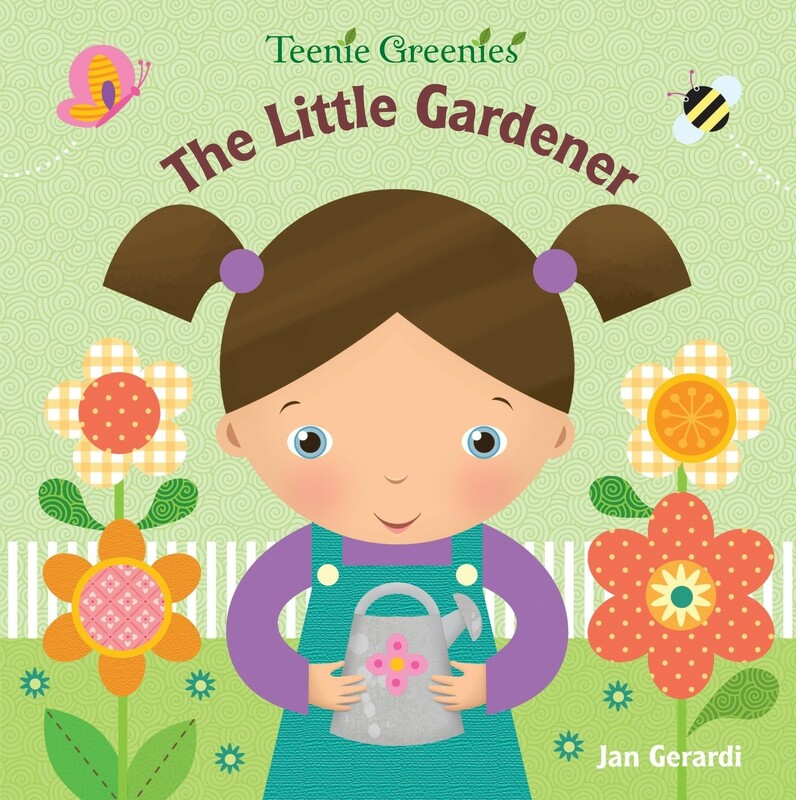 This charming story will encourage kids to try growing their own vegetable garden this season. After traveling the world in a fantastic teapot, Rose has decided to put down roots — figuratively and literally! She settles in a bustling city and starts planting seeds in a neglected corner, patiently waiting through rain, cold, and snow for the beautiful growth she knows is coming. As word spreads about her incredible plan, children come bearing bright paper flowers, which add color to her garden until the plants can burst through the earth. Sophie lives in the city, and to her, vegetables come from the supermarket. Then she goes to her grandparents' home in the country, and learns there's a lot more to it than that! Over the seasons, Sophie follows her grandfather and learns about mulching onions, eating flowers, catching beetles, and more. From digging the rows to picking the veggies to composting the scraps, there's lots to be done — and when winter comes and Sophie has to go home, her grandfather has one final surprise. 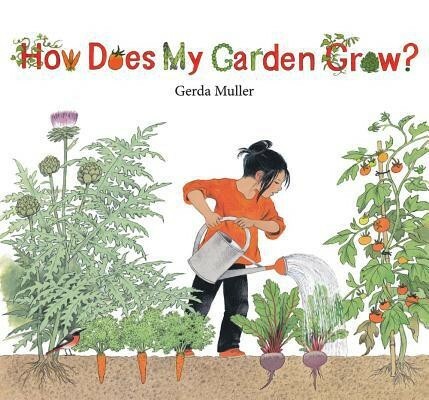 Gerda Miller's informative and interesting story makes an excellent option for kids who enjoyed her wordless seasonal board books but are old enough to want to know even more. 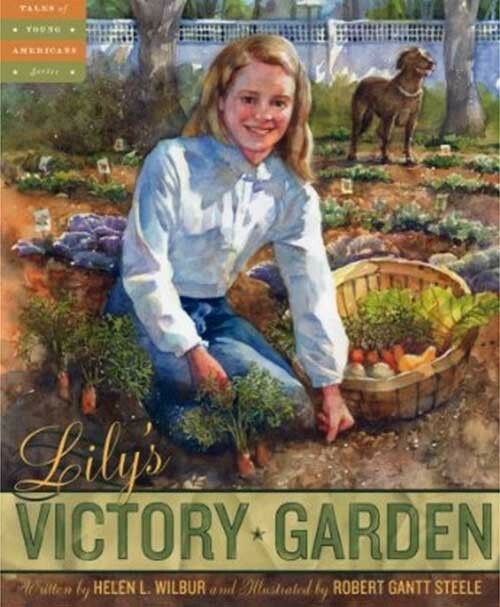 It's World War II, and Lily is dreaming of growing her own garden, so she's thrilled when she hears that there will be a lottery for plots in the city park for Victory Gardens, fruit and vegetable gardens to help support the war effort. But when she applies, she is told that she's too young for the lottery. Undeterred, she goes to the only other place she knows with a big yard: the Bishops' house. The Bishops' son was killed in combat and Mrs. Bishop has retreated into the house; Mr. Bishop reluctantly gives Lily permission to grow her garden, so long as she doesn't disturb his wife. Sometimes, though, a garden can renew more than the ground.... 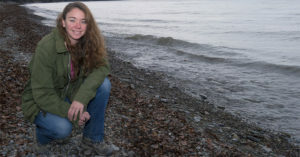 This touching story about grief, growth, and compassion is sure to move readers of all ages. Gardening isn't just a pleasure; for many people, it's a critical part of how they support their families. Maria lives in Honduras, where her family's farm has good years and bad years. This year is a bad one, and there may not be enough crops to provide for essentials like health care and school uniforms. Her father to find work elsewhere, leaving Maria in charge of the garden. But a new teacher at school has some advice about how sustainable practices can provide better crop yields, and soon, Maria's "good garden" is helping to transform her family's year and its future. This powerful story about careful stewardship and social justice will intrigue many older readers. After Mary Lennox is orphaned by a cholera epidemic, she goes to live on her uncle's Yorkshire estate. Lonely and sad, she's left alone to explore, eventually meeting the high-spirited Dickon and her sickly and imperious cousin Colin. Then she discovers the greatest treasure of all: a locked, walled garden, overgrown and desperately in need of tending. And as she, Dickon, and Colin start caring for the garden, a remarkable thing happens: Mary and Colin start to bloom too. This classic novel, full of beauty and emotion, is sure to inspire your Mighty Girl as it has inspired generations of others. In this struggling neighborhood, the rat-filled vacant lot is just another sign of how difficult life is — until the day one girl clears a small space and plants some beans. Soon, other people are seeing promise in the dirt: Curtis thinks he can win back Lateesha's heart with some home-grown tomatoes, while Virgil's dad imagines making a fortune growing lettuce. Even 16-year-old, pregnant Maricela begins to see the chance for a future. Thirteen different voices come together in this remarkable novel that shows the power of a garden to grow something more beautiful that vegetables or flowers: hope. For more books about the joys of gardening, visit our Food & Gardening Collection. 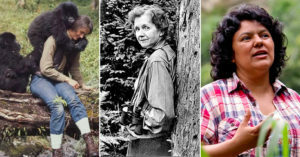 For books about Mighty Girls who enjoy the beauty of the natural world, visit our Nature Collection. 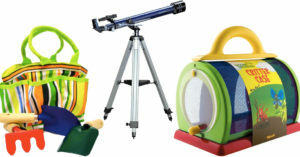 For a selection of toys and tools to get your own Mighty Girl digging in the garden, visit our Gardening Toy Collection.